We've got Roma tomatoes sitting on our counter. About 3 pounds of fresh Romas, though from the farmer's market, not our garden. Not yet. Pretty, aren't they? 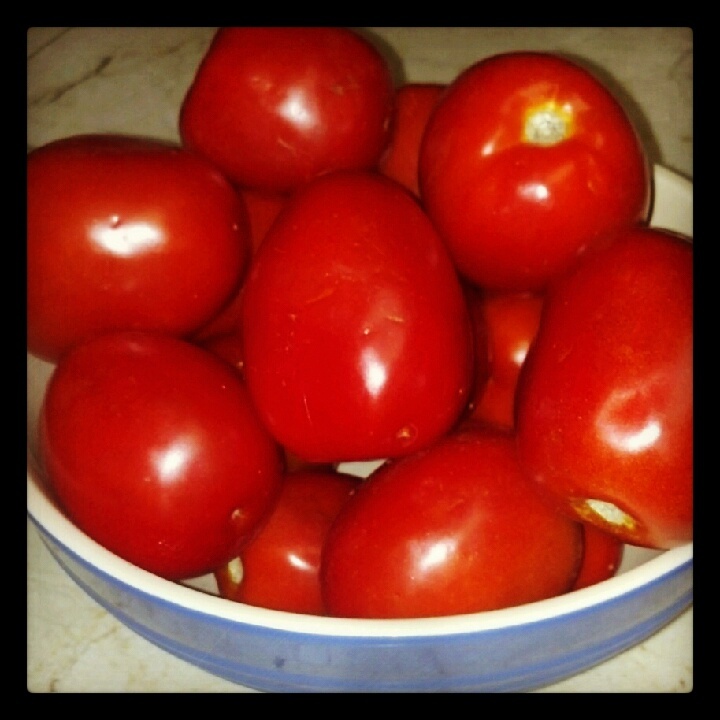 And when I see tomatoes on the counter, I think pasta and sauce (or macaroni and gravy, depending on your origins). 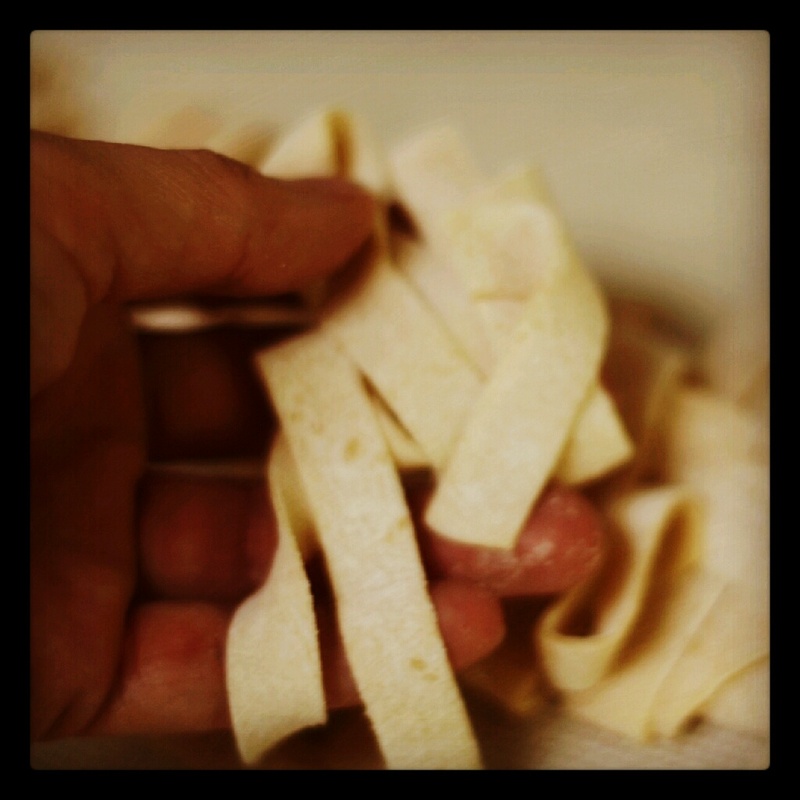 Fresh pasta is easy to make and definitely worth the effort if you have a little bit of extra time. 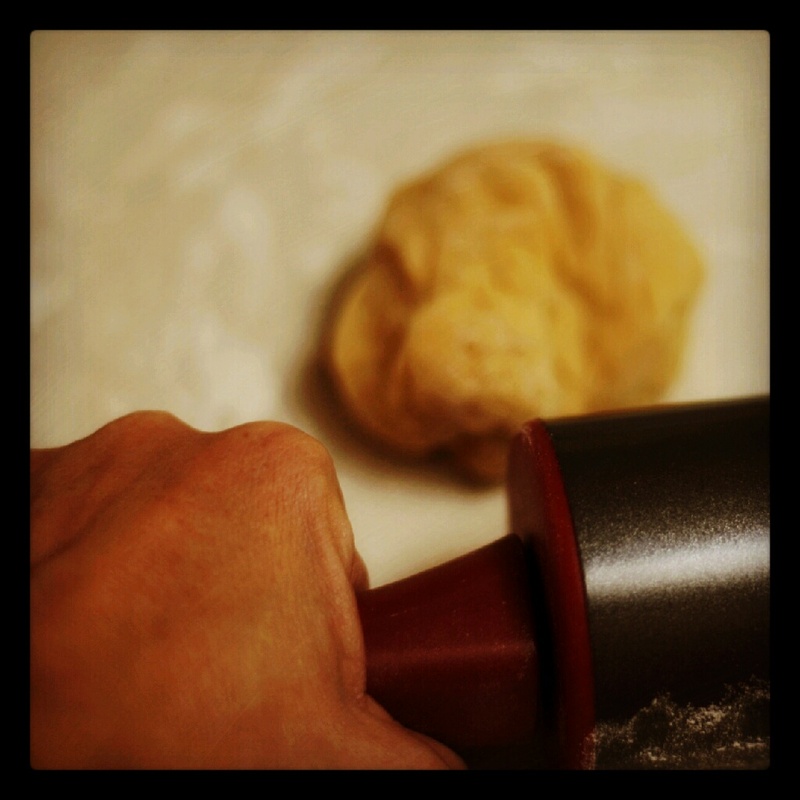 I use my Kitchen Aid mixer with the dough hook attachment to make this dough. Once mixed, I split the dough into small balls. MUCH easier to roll out a small piece. 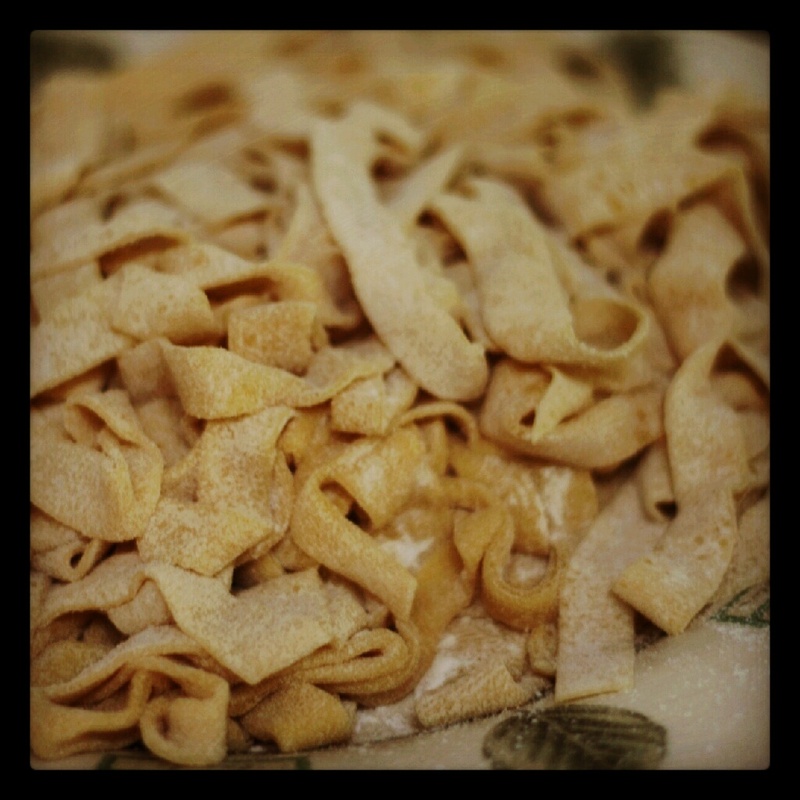 Especially if you like reasonably thin pasta. Which I do. Roll it out flat. Roll and roll. Extra flour helps with this. 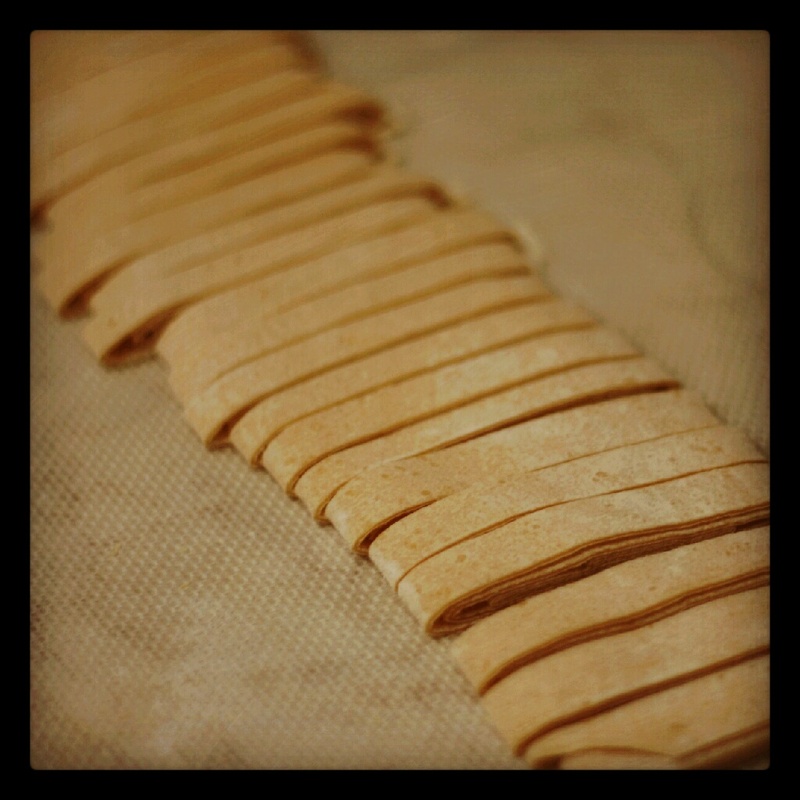 Then I (carefully) roll it up and slice it. 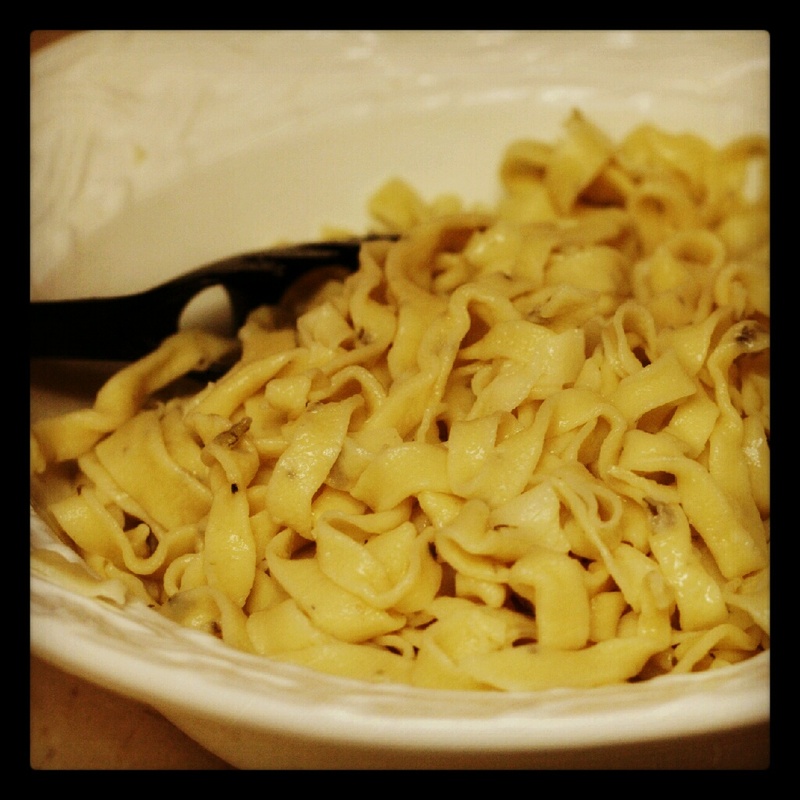 Toss with a bit of butter or olive oil to prevent it from sticking together too much. And then add your favorite sauce - I'll show you mine tomorrow!